Tai Chi Chuan is a martial art that belongs to the internal school of Chinese martial arts, Practicing Tai Chi will improve your physical balance, and stamina. It increases fluidity of movement and helps bring centeredness to ones mind. Tai Chi classes are held every Monday from 7 am to 8 am. Nada Yoga means "union through sound." It is the ancient spiritual art and science of inner transformation through sound and tone. In Nada Yoga you concentrate on finer and deeper sounds, moving from outer to inner realm, moving awareness from outer to inner sounds. This is a highly enjoyable form of meditation; as you meditate, your entire being, every cell and atom and part of you, is being purified and balanced by the sounds that you are focusing on. 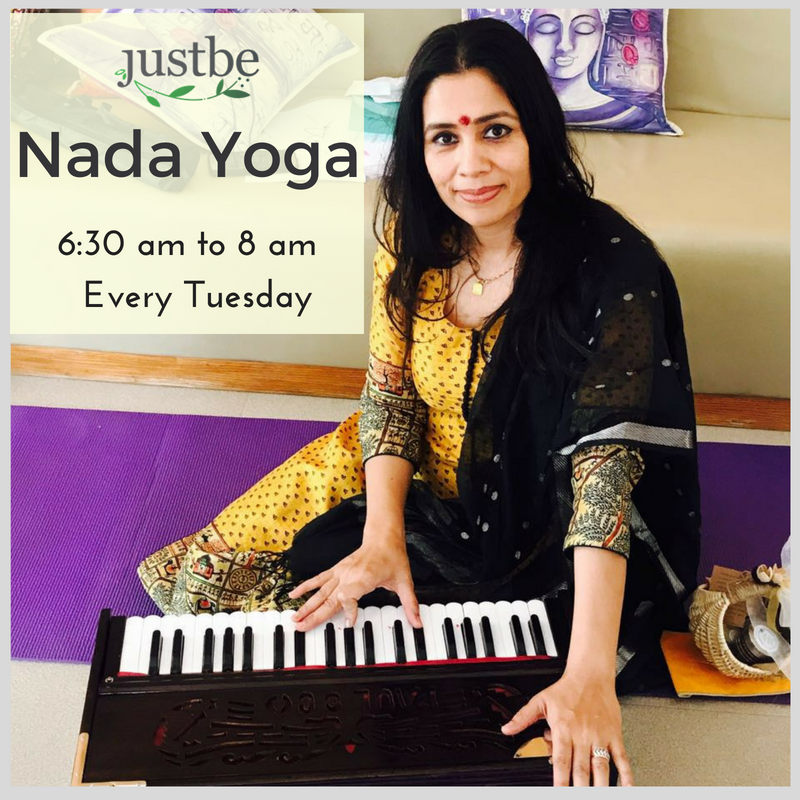 Nada Yoga classes are held every Tuesday from 6:30 am to 8 am. Hatha means ‘force’ and is more traditionally defined as ‘the yoga of force’, or ‘the means of attaining a state of yoga through force’. Hatha yoga includes warming up, back & stomach strengthening exercises, asanas/postures, breathing and relaxation. It is a poetic expression of the art of Asanas - postures. Hatha yoga is, an exploration of the body and finding outer and inner strength through asanas', working in harmony with the mind while giving attention to the extension, awareness to the expansion and your breath. 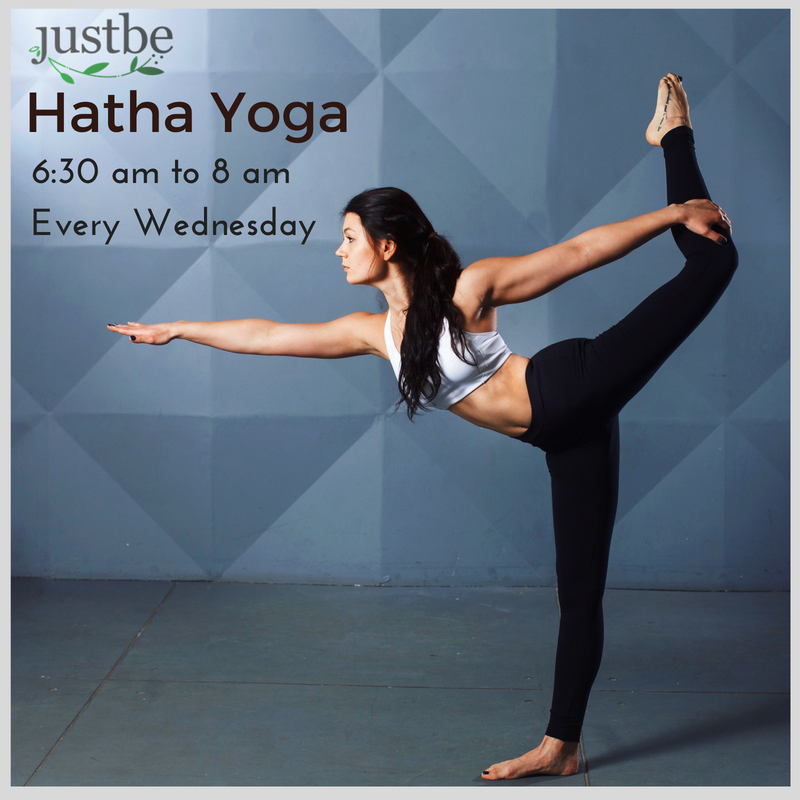 Hatha Yoga classes are held every Wednesday from 6:30 am to 8 am. This technique integrates Yoga and Fitness with well-rounded full body workouts. It incorporates basic yoga postures with focus on alignment and creative functional exercises, with emphasis on strength, flexibility, balance and mindfulness. On the mat-Off the mat classes are held every Thursday from 6:30 am to 8 am. Pilates is a form of exercise which concentrates on strengthening the body with an emphasis on core strength. This helps to improve general fitness and overall well-being. Pilates concentrates on posture, balance and flexibility. These sessions will include pilates on the mat to strengthen the core and to increase stability in the spine and improve the alignment of your body. Lyrical Yoga - a combination of yoga and dance , blends the “Flow” of Vinyasa yoga and the “Fluidity" of dance. It focuses on bringing ease and grace to your movements along with breath-body movement connection. Lyrical Yoga lays emphasis on micro movements of the breath and body and the journey while transitioning from one asana to the next. These sessions will include centering practices, warm up accompanied with surya namaskara variations in a lyrical form followed by the sequence of the day and end with cooling down practices. Lyrical Yoga Classes are held every Saturday from 6:30 am to 8 am.